The patent feud between Qualcomm and Broadcom came to an end as the two companies entered into a settlement and multi-year patent agreement. The agreement will result in the dismissal with prejudice of all litigation between the companies, including all patent infringement claims in the International Trade Commission and U.S. District Court in Santa Ana, as well as the withdrawal by Broadcom of its complaints to the European Commission and the Korea Fair Trade Commission. "The settlement will allow us to direct our full attention and resources to continuing to innovate, improving our competitive position in this economic downturn, and growing demand for wireless products and services," said Dr. Paul E. Jacobs, chairman and CEO of Qualcomm. "I am pleased that we have achieved this important settlement. At a time when the wireless industry should be focused on moving forward, the agreement removes uncertainty for Qualcomm and its customers." 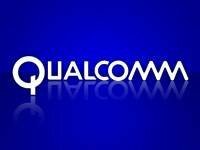 Under the agreement, Qualcomm will pay Broadcom $891 million over a four-year period. The first $200 million will be paid in the quarter ending June 30. Additionally, Broadcom and Qualcomm agree not to assert patents against each other for their respective integrated circuit products and certain other products and services, as well as not to assert its patents against the other company’s customers. Oher terms of the agreement are confidential.